I’m Jan, I’m a Swiss circus artist. We don’t really know each others, we just shook hand briefly at the Bruxelles convention. I’m mailing you because I study in the new circus school Codarts, a higher education in circus based in Rotterdam. For my theoretical circus lessons, I’m writing an essay about the different working fields of a juggler. I decide to send interviews to the jugglers I like. It would help me a lot if you would answer my interview. 1) What brought you to play on cruise ships? Was it your plan for a long time, or an accident? “Along with Pola, my former girlfriend and performing partner, I created a juggling act called The Art of Juggling. I never intended to perform this act on cruise ships, instead I thought it would fit variety stages and gala shows. We made a version that fit in our street show, and we performed that at festivals around Europe in the summer of 2006. I wasn’t so interested in working on cruise ships, but Pola wanted to give it a go. I knew it would take quite a bit of work, but it turned out to be the right goal at the right time. I had a lot of material after performing for seven years, and Pola and I could draw on our street shows for the way our characters would work in a longer show. That spring we were booked to perform at a theatre festival in Israel, along with a full-length show that the Israeli juggling convention, and that gave me the certainty that we could perform a very good and professional 50 min show. 2) I read on your website that you have a big passion for the reading of science fiction books and the writing of it! 3) On cruise ships, is there a possibility to train? If no, not even “small tricks”? Do you get bored to be so much in the ships? “I try to train every day, for at least an hour or two, but this doesn’t always work out. I normally train in the theatre, but not very often on the stage, because it is usually too dark, or other people are working. On some ships the theatre is too busy for me to train there at all. I sometimes juggle at the bottom of public stairwells, where I can take advantage of the extended ceiling height. As for getting bored, I have loads of different hobbies to fill my time. I like making videos, writing music, taking and sharing photographs, etc. Reading science fiction is a long-time passion, and for the past three years I have recorded a review of almost every single book I’ve read. I release these reviews as a podcast, and at the moment I have between 3000 and 4000 regular listeners. Writing novels is an extension of my love of literature, and I can certainly fill many otherwise-empty hours on a ship! 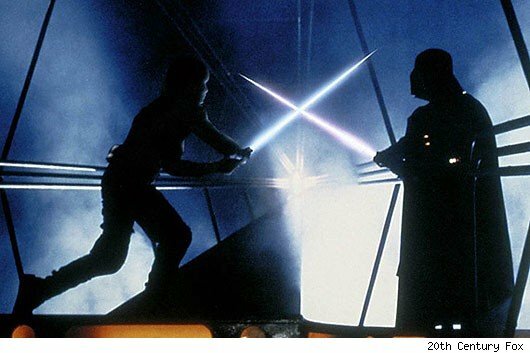 4) Is it hard to always behave the “right way” on a ship? (I’m asking this question because , as you know, on corporate events you have some rules on how you are allowed to interact with the clients. How is it on a cruise ship? Is it the same than on events? If yeah, it has to be very hard, when you are on the same ship during 2 weeks with the same client? 5) What about the stage performance; is there any format that an artist should respect to create his show? “When working on a cruise ship I must have one show lasting between 45 and 50 min. On top of that I must have enough material to do another half show, typically 15, 20, or 25 min. What I do within those shows is completely up to me. As long as I put on a good show, and entertain the audience, I have complete artistic freedom. Most jugglers think that the material I perform juggling conventions, nerdy stuff which only jugglers will understand, would be unsuitable for a cruise ship audience. I take the opposite approach, and respect my audience enough to go along with nerdy routines about site swap and trick names and other topics. I format my show around two ideas. The first is that I want to tell my story, my life as a juggler. The second is that I want to answer people’s questions about juggling. You know, like how many can you juggle, when did you first start to juggle, can you juggle fire, can you juggle this random object, where is the most interesting place you have juggled, and all those kind of things. 6) Did hosting shows at conventions help you a lot with speaking on stage? Did the motivation to speak on stage came from there? Is your presentation on the cruise ships mainly about the juggling, or the speaking, or 50/50? “Yes, speaking on stage or in public in any situation is good practice for performing. The only way to get good at anything is to practice hard and often. For the juggling skills this is easy, as you can do it at home by yourself. For performing, it’s a little bit different. Between 2001 and 2006 I attended 15 to 20 juggling conventions per year, and I performed in some capacity at every one of them. I offered to be in every show, to host renegade and open stages, to host games sessions, and anything else I could think of. Maybe people got sick of me, but I got very comfortable on stage, and by continually trying out new material I developed a wide range of acts to perform on stage. How much juggling versus talking I do in my show now depends on various factors. I often do 25 min shows containing very little talking, just 1 min of introduction, and then 5 min of juggling, and then another minute of introduction, and another 5 min of juggling, and so on. To do this in a 50 min show would kill me, as so much juggling would tire anybody out. Also holding people’s attention purely with juggling for 50 minutes, even if spiced up with physical comedy, is a very hard task. Maybe I could do it, maybe not. Either way, it’s best to vary the tone of a show throughout. So my 50 minute show is split three ways between talking (although I normally have props in my hands to demonstrate tricks), pure juggling routines, and physical comedy routines where the juggling and talking is less important than the clowning. These physical comedy routines often include audience participation, as me looking silly on stage is one thing, whereas getting audience members to look silly on stage is way more interesting. 7)When you play on a ship, do you usually play once, (like in the welcome or the good bye show) or do you present the same show over and over for different audience in the ship? “I perform my 50 min show twice in one night, and then perform my 20 or 25 min show as part of a longer show twice on another night. Normally there are a few nights in between, and maybe a few nights either end, so while I only perform on two nights I might be on a ship for a week. Sometimes I perform just once on a night, and a few times I’ve been asked to perform my show three times. Three times in one night is simply too much, and the last show, while entertaining, certainly suffers from a lack of energy. 8) Your website feels to me much more personal than websites of other professional jugglers. You show videos about the different places you travel, you speak about your other passions, which have nothing to do with your stage acts. Do you think the creation of your website like this helps you to sell your acts, because people see the human behind the professional? “I don’t use my website for promotion. I have an agent who is very good at getting me work. When I worked with Pola, we would do our own promotion through LukeAndPola.com, mainly for street show festivals and variety work. As a solo performer it is now easier and far less stressful to leave the promotion and booking gigs book to my agent, who was happy to do it for 15% commission. My website is really intended for people interested in me as a person and the kind of things I get up to. Many people see me on stage during a cruise and look me up online afterwards. They have no intention of ever paying me to work, but they’ll be interested to re-watch my routines, check out videos of me juggling around the world, might be interested in other things I do. I’ve never use my website for promotional purposes, although without it I wouldn’t be a professional juggler now. 10 years ago my website was one of the most popular juggling websites on the Internet, and I constantly shared photographs, videos, tutorials, comedy writing, comics, reviews, and all different kind of things. Most of it was about juggling, but there was just as much about other things I got up to. Because of my popular website I became one of the more famous jugglers internationally, despite not being that great at juggling, comparatively. This, as well as being known is an interesting performer, led to me being invited to many conventions around the world. I travelled from the UK to Europe many times, to the United States three times, and to Australia once. Those opportunities would never have presented themselves without my website. Even now, years later, people often tell me how my website was the thing that inspired them to become a juggler, or when they began juggling it was one of their main inspirations. And many of these people never saw me at juggling convention, not for many years. Just how many people I inspired over the years, I’ll never know, but the e-mails trickling all the time, and random people I meet on my travels tell me the same story over and over again. 9) To work on cruise ships, is there a better country to officially live in, for administrative reasons? “I live and pay tax in Germany. Berlin is a cheap place to live, so that suits me! If I worked abroad more, for over six months per year, I could probably apply for non-resident status in the UK or Germany, and pay tax in Switzerland or somewhere. I know a few entertainers who do this, but I’m not interested. I would rather live somewhere cheap, have to earn less money, and take more time off work. 10) Are you making a lot of publicity to get hired on cruise ships, or once you got some jobs, others jobs come, if you did the last jobs well plus luck? About how much time do you invest in promotion? “As I said before, I have an agent who I pay commission to find me work. I have very little interest in working directly with any cruise ship company, even if theoretically I could make a little bit more money. I believe strongly in going for the least stressful course. With my agent I might earn less per week, but with my agent I work many many many more weeks. Thank you if you read the interview until here! If you have any useful information you want to share, I would be very happy to read it! – Get some videos of me juggling in amazing places. – Write a song for June. – Continue writing my novel. – Get round to writing blog posts that include the photos I took in Istanbul, Croatia, Montenegro, Venice, St. Tropez, Pisa, Olympia and… um… I think that’s it. – Record a review of a book I finished TWO WEEKS ago. It’s the followup novel to Minding Tomorrow. You can download it and read it for free, because I’m nice like that. Here’s the link to the Combat page on my website. For those wondering why this post is also in the juggling category, the novel features a juggler as one of the main characters. 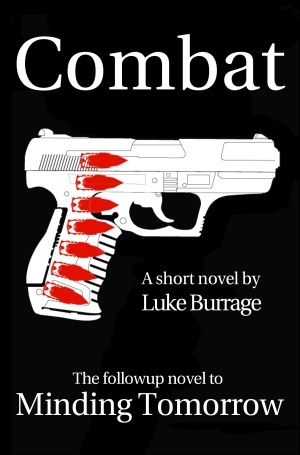 A near-future military science fiction novel by Luke Burrage. Cover art by Stefan Kernjak. Combat is the followup novel set in the same world as Minding Tomorrow. It follows the story of a secret military strike force as it comes to terms with new enemies and new technologies. It also tells the story, set eight years earlier, of a single soldier trying to make a difference in a new West African nation. The events of this novel take place concurrently with those in Minding Tomorrow, and shares some characters and technologies. However, it is not a sequel, and can be read either before or after Minding Tomorrow. There are some mysteries in Combat that are answered in Minding Tomorrow, and some mysteries in Minding Tomorrow that are answered in Combat. Of course, there are mysteries in both which will be answered in the third and last novel set in the same world. Clicking on the map will take you to the sosauce.com trip page where you can zoom in and out stuff. Also, the trip starts and ends in Punta Arenas, number 1 and 8 on the map. This means a loooong journey just to get there. Yes, I’m returning to Antarctica! It is, by far, the most amazing place I’ve been to while working on cruise ships. Last time I managed to get off the ship and get up close to penguins on the islands and mainland of Antarctica. I even have a stamp in my passport! This time the ship will be doing what’s call “Scenic Cruising” which means it doesn’t stop, and nobody gets off. I will, however, try my best to wangle my way onto the zodiac, which they let off the ship so the photographer can take photos in spectacular places. And, as you can see by the map, I’ll be back in the Falklands again, for the forth time in the past year, so I’ll once again do my traditional walk and see if the bird families have grown up. – Write. Or, more specifically, edit Combat (working title) and Monster Story (working title). Combat won’t take too much, but the ending needs to change. Monster Story needs more work, and I intend to break the story into two parts. From the feedback I found that people were interested in the back story, but I skip over these events in the novel. What I’m going to do is write the “getting to the planet” story as a stand alone novella, and explain the entire story there. Then Monster Story will become the second novella in a sequence. I always had one more story to tell in the same universe, so that could become part three in a trilogy. – Shoot video. I just released my International Juggler 2009 video. It’s now 2010, and this year’s video will continue in a similar way, but with a twist. It’ll have more structure. – Read and record SFBRP episodes. I’ve decided to try out audio books, mainly because I wanted to get a copy of The Windup Girl by Paolo Bacigalupi, and audible could deliver it in minutes. Planning ahead means I could have ordered it from Amazon.com, but I’m not that clever. – More video. I want to record some shaky footage of me in Montevideo and cut it into the Panic attacks video. – New podcast. I’m thinking about starting a new podcast, where I release one per trip, telling stories and generally giving my thoughts about things I see and do. It’ll be called something like “Luke Around the World”, which is a crap pun, but sort of catchy. However, I only intend to release the podcast if I think it’s any good. Look out for that in a few weeks. I think that’s about it. I’ll try to upload photos as I go.